When I think Mother's Day Gifts I think of gifts that are thoughtful mementos, a special something that mom wouldn't typically treat herself to, or something that would help mom to relax, de-stress, and unwind. With those themes in mind I went on a search for the best Mother's Day Gifts that I could find. Happy shopping and I hope that you find something perfect for your mother this Mother's Day! The LINESPA Shredded Foam Reading Pillow makes a great Mother's Day gift for the mom who loves to read or watch television in bed. The pillow is stuffed with shredded memory foam to offer comfort and provide neck and back support while sitting in an upright position while in bed. It even has arm rests! But beware, I bet everyone in the family will be jealous and trying to steal mom's pillow! 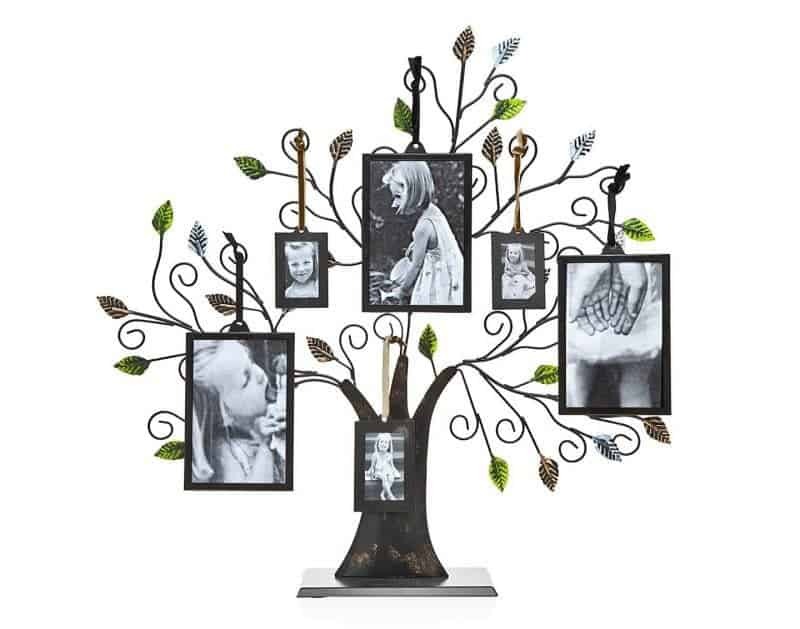 Every detail of this beautiful bronze Family Tree Collage Picture Frame is just perfect – from the silver, green, and gold leaves to the little bits of ribbon used to hang each of the six picture frames. This really is a precious piece that any mother would adore. 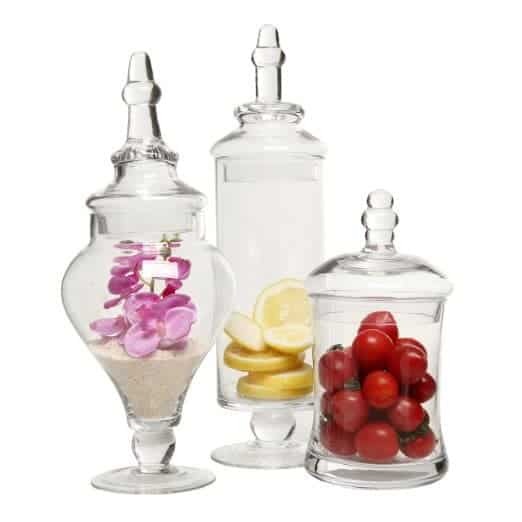 This set of 3 clear glass apothecary jars are perfect for housing decorations such as flowers, fruits, sand and seashells or edible items such as dried pasta, grains, candy, biscuits, or fruit. Whatever mom displays in these beautiful hand-blown apothecary jars, they are sure to bring a sense of elegant to any room. 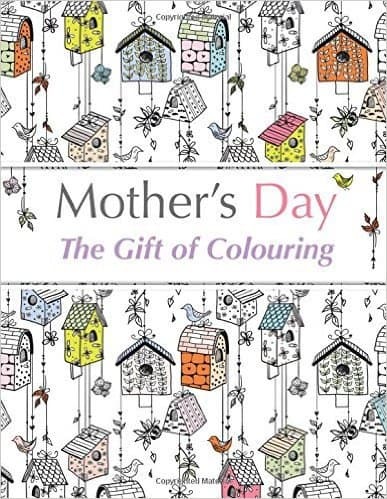 Give her the gift of relaxation with this Mother's Day Coloring Book. Packed with black and white illustrations for mom to color, as well as inspiring quotes about motherhood, mom will get hours of joy out of this thoughtful gift. Pair the coloring book with a set of colored pencils so that she can start using the gift right away. This precious I Just Want to Tell You I Love You double heart necklace makes the perfect gift for Mother's Day. 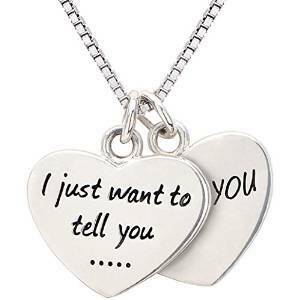 It reads “I just want to tell you…” on one heart, and “I love you” on the other. The heart charms are made of .925 silver and sit on a beautiful box chain. One thing is for sure, this charming necklace is sure to make mom smile. Truth be told, I am a total sucker for an oversized coffee mug. 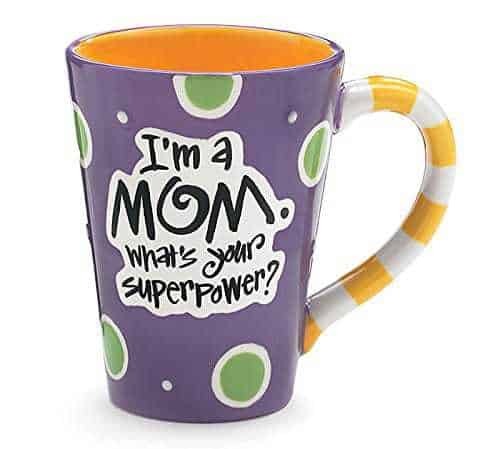 If you mom is a coffee or tea drinker as well, she is sure to love the I'm a Mom, What's Your Superpower? 12oz coffee mug. This adorable hand-painted mug features the phrase “I'm a Mom. What's your superpower?” along with polka-dots and stripes. The mug comes in a variety of colors, all of which are colorful and fun! 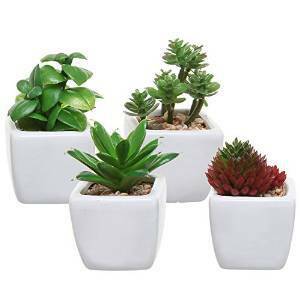 This modern ceramic planter pots with artificial succulent plants set gives mom the beautiful and natural look of greenery without the need for any maintenance. Each of the 4 cube-shaped planters houses a different artificial succulent plant, bringing both greenery and variety to any room or office. Is mom a chocolate lover? If so, treat her to a box of assorted chocolates. I know this mom would love a box! I own quite a few essential oil diffusers, but my Essential Oil Aromatherapy Diffuser by InstaNatural is my favorite by far. I love everything about it from how easy it is to use to the relaxing blue glow it emits when in use. I just fill it with water, and a few drops of lemon essential oil or peppermint essential oil and voila – the room suddenly has a relaxing feel. If mom could use some relaxation, perhaps the InstaNatural Essential Oil diffuser would make a nice gift for her. I would suggest pairing the diffuser with a nice Essential Oil Gift Set so that mom has everything she need to get started using her new diffuser. Mom can unwind with a nice and relaxing home spa day thanks to this 6 piece Nature Vanilla Spa Gift Set. 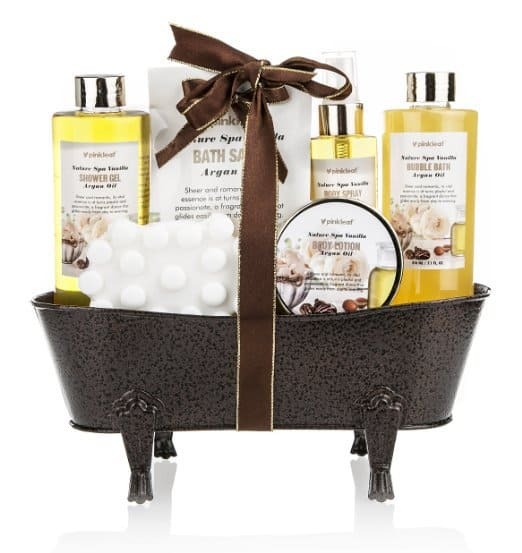 The set contains shower gel, bubble bath, body spray, body Lotion, bath salt, and a massage bar soap all displayed in a decorative antique looking bronze tub. Combining the fragrance of sweet vanilla and soft essential oils such as Argan Oil, this spa set makes a perfect Mother's Day gift. 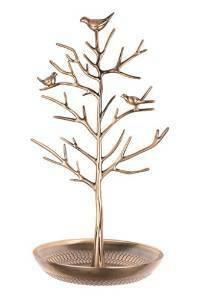 Mom will love this bird tree jewelry display stand, which features an an antique look. Mom will never run out of places to store her jewelry several branches and hooks as well a a bowl-shaped base to display her rings, earrings, bracelets and necklaces. This lovely jewelry display stand comes in silver, gold, black or bronze. The What I Love About Mom Journal contains fill-in-the-blanks to describe why mom is the best. This book makes the perfect Mother's Day gift from a child of any age – if too young to write, you can ask the child for the answers and fill it in for them, while older children can fill it out on their own. Either way, it is certain to be a very personal and heartfelt Mother's Day gift that mom will want to read again and again! 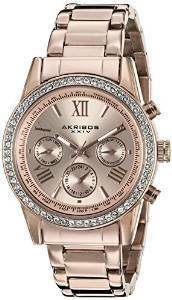 Mom will always know what time it is with this beautiful rose gold watch from Akribos. The ion-plated watch features a stunning crystal-accented bezel and a sunburst dial with Roman numerals. 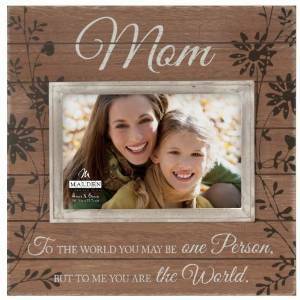 This Walnut Distressed Mom Picture Frame is sure to make mom smile whenever she sees it. The frame holds a 4×6 photograph and reads “Mom” at the top and “To the world you may be one person, but to me you are the world” below. Crafted with the highest quality, environmentally-friendly vegan leathers the Jenny Hobo Bag from 88 Handbags makes the perfect gift for Mother's Day. 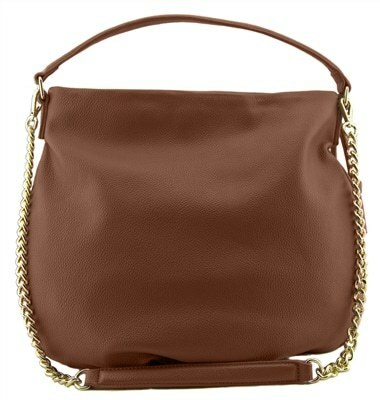 The bag comes in the lovely caramel color and a black color option. The Jenny Hobo Bag is beautifully designed and features a very spacious interior with pockets, a zippered outside pocket, and a removable gilded chain shoulder strap. I have this bag myself and I adore it! Disclosure: I received a Jenny Caramel Hobo Bag from 88 Handbags in exchange for sharing my review. You can find more information on Dorky's Deals Disclosure Policy here. You have included so many great gift options. 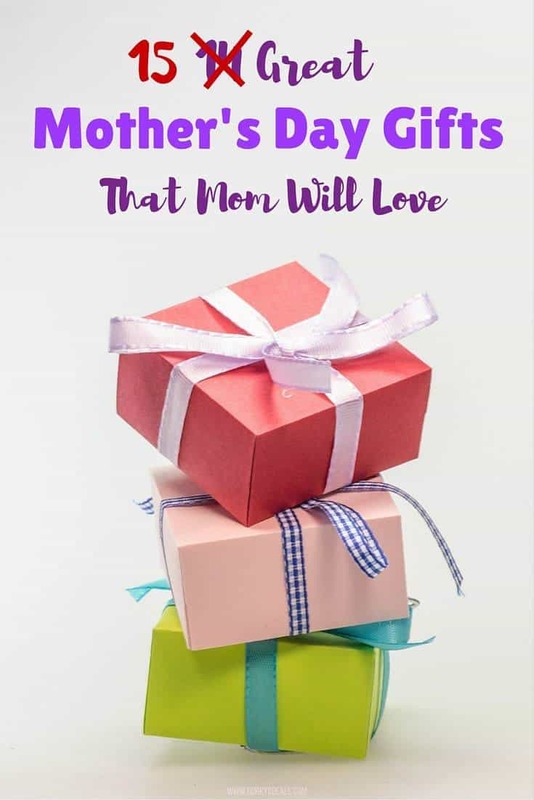 I love the idea of gifts that help celebrate all that moms do or give them a much needed way to relax and unwind from the daily grind of motherhood. Wishing you and yours a wonderful Mother’s Day. I haven’t even thought about mothers day to be totally honest with you. The kids normally make me something special and the hubby makes me breakfast. Sometimes we go to the greenhouse and I do a little window shopping (we can’t plant anything till the end of may) but I am totally ok with that. I really liked the tree photo frame. That one is super sweet! Thank you so much for these gift ideas! MY Mother is so hard to shop for so I have started looking at things have more of a meaning to her. I loved these ideas! Thank you! I remember having a reading pillow like that when I was a kid. I haven’t thought of it in forever, but I totally would love one of those! My back isn’t what it used to be (the joys of growing older), and it would probably be much more comfortable than my stacked pillows! I also LOVE the succulents! My mom would love the chocolates, the pillow and the picture frame. I had no idea they were stuffing those pillows with memory foam these days. I assumed they were all still filled with that Styrofoam mess they used to use when I was younger. I may need to pick one up for myself! I love all of these ideas since they aren’t the usual Mom’s Day ideas! I know I personally would love one of each. These are all so cute, it is hard to decide which my mom would like the best! I love the photo frames! I absolutely like all of the ideas, especially the necklace perfect gift for Mother’s Day. I love all of the ideas for Mother’s Day, especially the rose gold watch. I want that watch for myself. 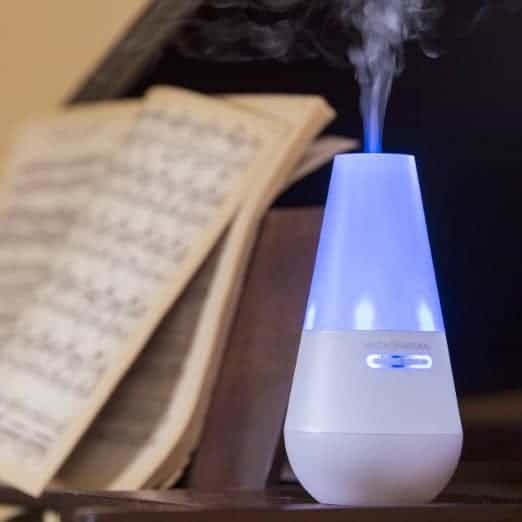 I know I’d love to have the essential oil diffuser! I like it so much better than candles!